Aesthetic beauty, mechanical sophistication and playfulness are the keynotes of the Carrousel collection. 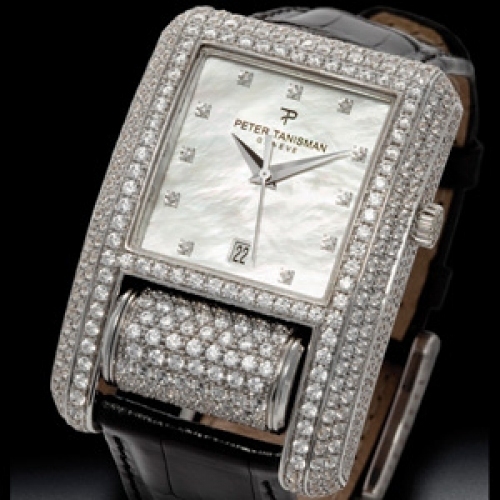 The rotating cylinder representing the exclusive signature of Geneva-based jeweller Peter Tanisman is a vivid visual reminder of the passing of time and is inspired by the Ottoman love of fine objects. The subtle play on geometrical shapes creates an exquisitely elegant radiance further enhanced by the sparkle of 552 diamonds. A carrousel serving as an allegory of time in both past and present mode.